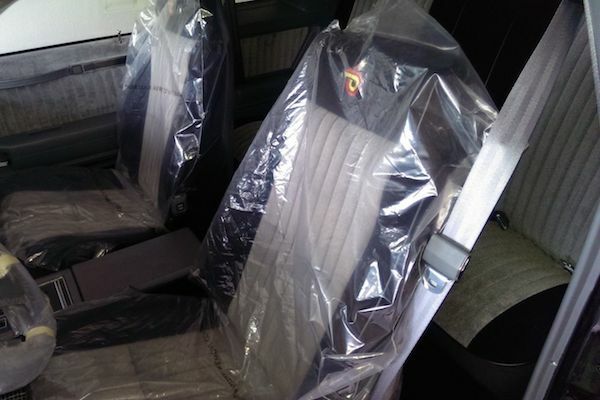 The seats and steering wheel are still wrapped in plastic, and the paint, in three decades of dust. 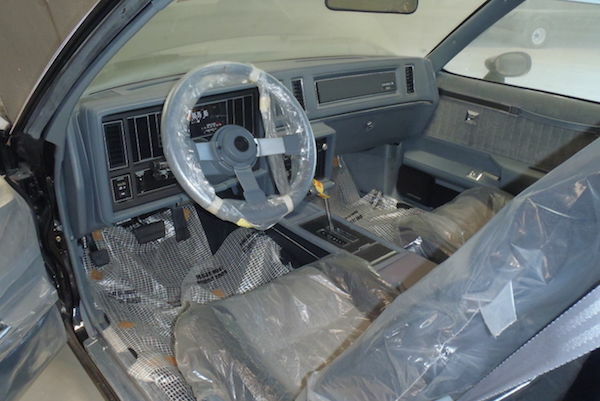 During this past week, a Buick Grand National with a mere 49 miles logged on its odometer found its way onto eBay, where bidding has nudged it eerily close to six figures with days remaining before the auction ends. This Grand National—as per the seller's synopsis—left the Michigan factory and was never registered with the Department of Motor Vehicles, traveling via a West Virginia dealer straight into a Colorado-based private collection without receiving tags or plates. It later lived in Idaho before moving to its current home in San Marcos, Texas. As a 1987 model, the car's final model year, its current owner believes it to be among the last of the Grand Nationals produced. It is being sold as a part of a reported estate sale, with its 30-plus year caretaker passing away due to illness. The Buick Grand National itself is one of the few cars without a gigantic V-8 that can truly call itself an American muscle car, and it does so in odd fashion. Its low-revving 3.8-liter V-6 utilizes a single turbocharger, whereas most V-configuration engines use two, one for each cylinder bank. According to reference materials, the Grand National makes a modest 245 horsepower, compensating for its low horsepower figure with a double scoop of torque: 355 foot-pounds, to be exact. The result was a zero-to-60 time recorded as low as 6.0 seconds by some publications in its day, which remains respectable today. Parties interested in getting their hands on what may be the most babied Buick Grand National in existence can head on over to eBay to bid on the car. With 58 bids already placed, escalating to more than $70,000 at the time of this article, competition is stiff, and we wouldn't be surprised to see this car surpass six figures before bidding ceases Saturday evening. "A turbo, a turbo, my kingdom for a turbo. And maybe some paddle shifters." China still has a strong appetite for Buick sedans. The concept debuted in the market that buys the most Buicks: China. Ford isn't the only automaker to be burned by the fire at the plant of its supplier, which feeds parts to FCA and GM in addition to the Blue Oval. As 3D printing technologies advance, so in turn could part design, trading weight for strength.